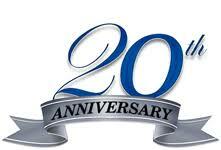 Join us for our 20th Anniversary Celebration! Wine and cheese, hot cider, light snacks will be served throughout the day! Special Savings throughout the store!